Who would have thought I would enjoy knitting a very long scarf so much? Perhaps the success was due to a nice match of yarn and pattern. 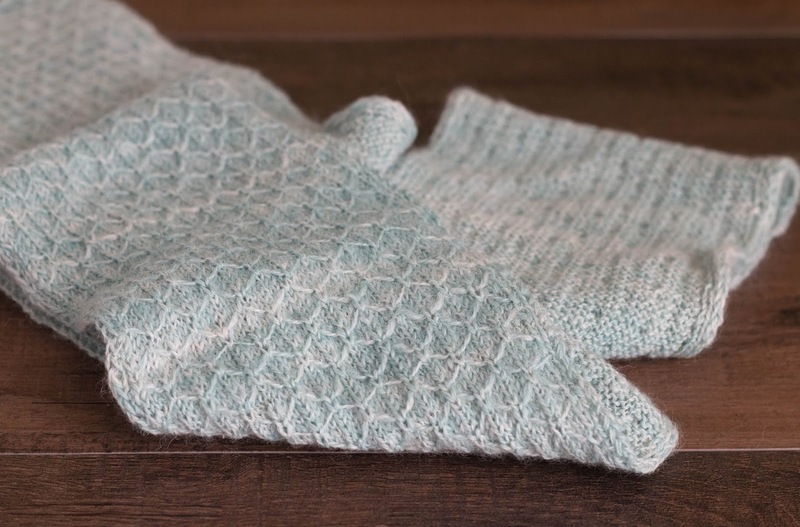 The handspun Alpaca was marinating in my stash until I searched, in Ravelry, for patterns knit in Alpaca and found the beautiful Trellis Scarf + Wrap from Purl Soho. 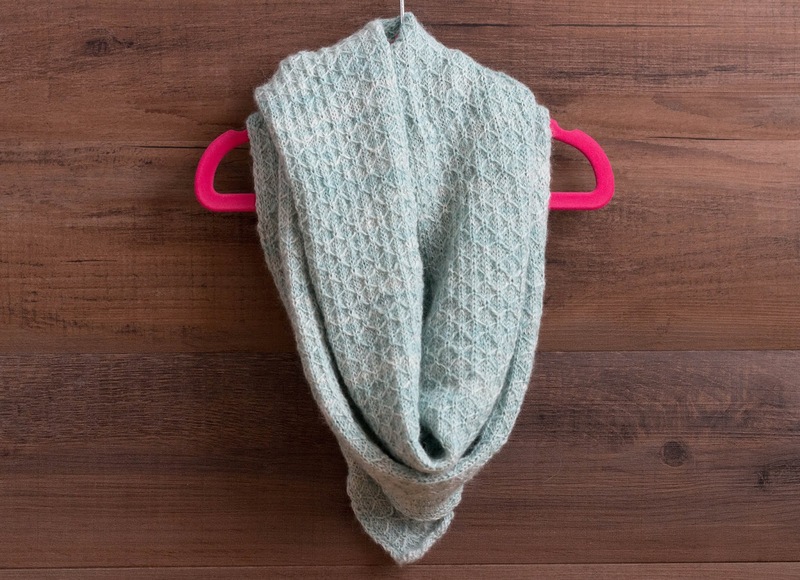 Is there any design from them that you don't want to knit? What a great feeling it is to have this scarf that I love -- after so much time and effort spinning and plying the singles and finally knitting the yarn. I used almost 500 yards on this project. I cannot wait for winter to wear this over and over. Thanks so much for your comment Christine. That is truly a beautiful scarf.